Emerging is a series of interviews with up-and-coming filmmakers and creatives, focusing on their breakout projects and the roads that brought them there. Earlier this year, David Lowery arrived at Sundance with two films: Shane Carruth’s Upstream Color, on which Lowery was the lead editor, and Ain’t Them Bodies Saints, Lowery’s second feature as a solo writer-director. By the time the festival was over, Upstream Color and Ain’t Them Bodies Saints were among Sundance 2013’s most talked-about movies: two visually striking, unconventionally structured dramas rich with emotion and imagination. Upstream Color has received a theatrical, VOD, and DVD/Blu-ray release already—as part of an intentionally wide and fast distribution strategy by Carruth—but Ain’t Them Bodies Saints finally broke free of the festival circuit last week, with a simultaneous VOD and limited theatrical release from IFC Films. Much like Lowery’s 2009 debut feature St. Nick (an impressionistic story about a fugitive brother and sister hiding out in rural Texas in the wintertime), Ain’t Them Bodies Saints is about the bond between two outlaws. Casey Affleck stars as affable criminal Bob Muldoon, who takes the heat for his girlfriend Ruth (Rooney Mara) when she kills a cop during a standoff. The movie follows Bob as he escapes from prison and tries to make his way back to Ruth and their daughter in Texas, where Ruth’s been trying to live a normal life and tamp down her guilt. The plot is simple, but provides a solid foundation for Lowery to evoke and explore the textures of the mid-1970s, which is both when Ain’t Them Bodies Saints is set and the era of filmmaking that it’s paying homage to. Lowery spoke to The Dissolve about how he achieved that antique feel, and what it’s been like to make the transition from the editing bay to the director’s chair. 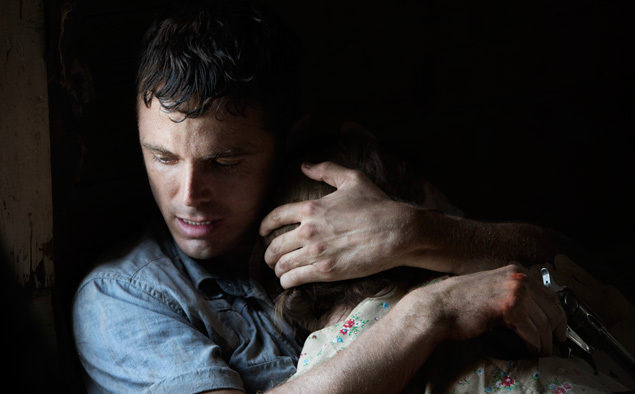 The Dissolve: Ain’t Them Bodies Saints is such a visually striking film, but was there any one particular image that you began with when you started writing the script? 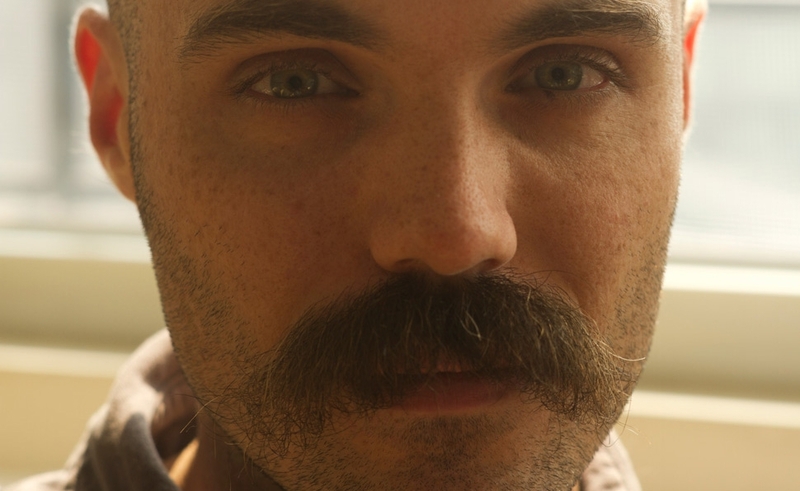 David Lowery: There were two: Bob Muldoon walking out of the woods, just engulfed by nature, and then an image of him carrying a little girl at the end. I was like, “Okay, that’ll be the beginning of the movie and the end of the movie.” What ended up happening was that image of a guy holding a little girl over his shoulder is in the movie, but with a different character. But those are the two that got the ball rolling. Just thinking cinematically, those two images were the bookends to the story I wanted to tell. The Dissolve: You say the second image changed. Did you fight that at all, given that it was one of your bookends? Lowery: No, it was all pretty natural. There’s a gut instinct that I listen to, sometimes to a fault. On that gut level I understood the tone and the feel of the film. As long as I’m within those parameters, I’m pretty okay with shifting things around, and not being precious with any piece of dialogue, or anything else. I try to stay open to things taking on new meanings that I hadn’t anticipated from the get-go. Not only in the screenwriting process, but on set. I love to explore as much as I can and try to elevate what was on the page as we translate it to a new medium. I’m looking for the happy accidents. Well, not looking for them, but staying open to them. Seeing opportunities to push things further than you had originally anticipated is a big part of the directing job. The Dissolve: This is the second feature film you’ve made in which the main characters are on the run, skirting the law. Why does that idea appeal to you so much? Lowery: I’ve thought about that a lot. With St. Nick, the little boy was very much an outlaw, in terms of societal rules. And the reason he was playing that role was because he didn’t want to grow up, which is something I’ve dealt with my whole life, this fear of becoming an adult. I think that little boy in St. Nick could’ve grown up to become Bob Muldoon in Ain’t Them Bodies Saints. I think there’s a continuation there, and that’s something that means a lot to me, that fear of being responsible. For better or worse, I’ve always struggled with it. A natural way to play that fear out in a narrative fashion is to tell a story about an outlaw, because an outlaw is someone who is choosing not to go down the well-trodden path, choosing not to follow the rules society has laid out for them, to do things their own way. A big part of not wanting to grow up is not wanting to play by the rules. The Dissolve: How old are you? The Dissolve: Steven Spielberg once said that if he’d made Close Encounters Of The Third Kind when he was older, he wouldn’t have had Richard Dreyfuss’ character leave his family so easily. He said that after having kids himself, he understands that choice differently. It’ll be interesting to see if 10 years from now you revisit your films and feel the same way about this theme of ducking responsibility. Lowery: Yeah, I’m curious, too. [Laughs.] It’s one of those things I try not to think about too much, or otherwise I’ll get too caught up in the psychology of what I’m writing or making, but I do wonder about it. That anecdote about Spielberg is something that I’ve heard many times. It makes sense that he wouldn’t want to do that anymore. It makes sense that in War Of The Worlds, the family is reunited even though that’s a terrible ending for that movie. It’s something that I’ll just have to wait to find out. I can’t honestly say what would happen in my life that’d make me become responsible, but it could certainly happen. The Dissolve: The story in Ain’t Them Bodies Saints could’ve been set in any era, but given the style of the filmmaking, it’s fitting that it takes place in the 1970s. Was it a conscious choice to set the story in the era that the style of the film is evoking? Lowery: Absolutely. Going back to the images I had in mind when I started, another big point of origin was that I wanted to make a movie that felt of a piece with those ’70s movies that I love so much. I wanted something that felt like Robert Altman, or Thunderbolt And Lightfoot, a Michael Cimino film I just adore. I really wanted everything about this movie to feel antiquated, so setting it in the 1970s was an easy way to get there on the ground level. No cell phones in this movie. No Internet. It’s going to be old-fashioned because we’re just going to set it back then, and whatever ancillary effect that has because of the movies that were made then, that’s great. After that, the next step was trying to make it in as old-fashioned a fashion as possible, so we shot on film, and only used old movie lights. We didn’t use any sort of modern equipment to make it, and tried to treat it like we were making a movie in the ’50s and ’60s and into the ’70s as well. The Dissolve: The opening title card reads, “This was in Texas,” which has that antiquated feel you mention, but not 1970s. It looks more like an old silent-movie-type title card. And the phrasing of it, like the title of the film, is so unusual. Lowery: I really love the idea of a phrase that can stick with you. The title, whether or not you get it the first time someone says it, it’s a phrase that has a cadence to it, and a musicality, and an idiomatic, regional American quality. Beyond all the thematic resonance it might have, my intent with it was that it would become something that sticks with the movie all the way through. You carry that title with you, and it affects how you interpret the movie, and even how you watch it. “This was in Texas.” I just hated the idea of a lower-third title that says, “Texas, 1975.” [Laughs.] How do you set the stage for this story without being so didactic? I didn’t want to say exactly what year it took place in, so I used the past tense, because that sets up that this is something that has already happened. It’s not currently happening. It’s a story that’s old. It’s had its day in the sun and it’s over. That was my answer to that problem: “This was in Texas.” I wanted to establish that this was Texas from the get-go, but I didn’t want to have a lower-third, TV-style title card of where and when it’s happening. I used language to do the same thing. I like the feel of it. It’s not anything that anyone would expect right up front, and it really sets the stage for the type of movie it’s going to be and the type of experience you’re going to have. Lowery: [Laughs.] I should give Casey credit for the hairstyle line, because he just added that on the day. But with everything else, yeah, it was, “Let’s keep this as context-free as possible.” The context is the tone. The context is what we established with that title card, with that title itself, the texture of it. That’s all the context that I want the movie to function within. But here and there, I wanted to provide little pragmatic details to just to make it feel like it takes place in the real world. Which it barely does. There’s a fairy-tale quality that I wanted the movie to have as well, so not giving a time stamp, not saying what year it was, not saying exactly what is happening at any given time was also very important. The part at the beginning where Casey hijacks that girl’s car and he asks where they are and she tells them they’re in Missouri… That scene is cut short, but originally there was more dialogue about them both not knowing exactly where they were. I wanted it to always feel like something was slightly off with the geography of everything, aside from it being in Texas. The Dissolve: Oftentimes indie films sandbag themselves with soundtracks featuring bland, plunking acoustic guitar, but Daniel Hart’s score for Ain’t Them Bodies Saints is immediately arresting, reminiscent of Jonny Greenwood’s work on There Will Be Blood. How much guidance did you give him? Lowery: I just let him go. This is his first score for a feature. He did my short film “Pioneer” prior to this, and on that movie he watched the first cut and delivered a score that was finished and so perfect that we didn’t change anything. It was so spot-on that we just dropped it in the movie and that was that. To find someone who can interpret what you want without you even having to tell them is a rare thing, and once you find someone like that you hang on to them. I knew Daniel would knock this one out of the park, but I didn’t know what he would do. I really didn’t know how much music the movie would have. St. Nick has almost zero music in it, and I love that. I love being able to use silence and natural diegetic sound. But I knew that this movie would have a score, and that the score would play a huge part in it. I gave Daniel some guidelines in terms of what kinds of instruments would work. He’s a classically trained violin player, so I knew string would be in there, but I also thought things like mandolin and banjo would be cool, giving it a very rustic feel. But I also didn’t want a quirky rustic soundtrack. I wanted it to have an elegance to it. Daniel read the script and watched us shoot a couple of scenes, and started looking at the dailies. Once we started editing, I would send him chunks at a time and very quickly music started to come in for those chunks we were giving him. At that point it was still very rough and the music was so much more polished than the edit that we were dropping these pieces of music in and then recutting the movie to match the music. Every now and then I would say, “A little less emotional, a little less bombastic, bring it up here,” but those were all minor notes. The music ended up becoming the spinal cord of the story, I feel. It was a fun experience to really embrace a score for the first time. I hate music that doesn’t function in any other way than to underscore an emotion. And I feel like with this movie we are certainly underscoring the emotion to a degree, but with a score that’s an equal participant. It’s not just telling you how to feel, it’s explaining those emotions at the same time. At least that’s the intent. The Dissolve: Prior to becoming a director, you’ve been an editor on other people’s films; and while just about every filmmaker has worked as an editor to some extent, in film school or as the final authority in an editing room, there haven’t been too many major directors who’ve been editors as a vocation, outside of maybe Hal Ashby. How does one job affect the other? Do you think like an editor when you’re working as a director? Lowery: I do, and one of the things I’ve been wondering is whether that’s a plus or a minus. I’ve always felt it was a plus, but this film certainly was a challenge to edit, because I was working with other editors for the first time ever. On set and in the scriptwriting process, I had such a clear idea of how things would work and how they would cut together, and the film mirrored that to a large extent. But I also found myself second-guessing myself to a large degree in the editing room, which I never had before. It was an interesting process, to say the least. Editing informs everything that I do. I love editing. That’s my favorite part of the filmmaking process. I feel like having an idea of how a scene might cut together really helps you figure out what matters to the story. Even though those things might change once you’re editing, understanding what’s important to each scene and what the takeaway needs to be and how that scene carries over to the next and ripples further down the movie—that’s all stuff that’s useful to have in your head. At least when you’re going into it. Once you’re on set, you forget about a lot of it because you’re moving so quickly. It’s an interesting quandary now, because I love editing so much and it was a choice of mine to work with editors for the first time because I wanted to find out what that was like. But it was a struggle, because I’m not very good at communicating my ideas to other people. It’s easier for me to just jump in and do it myself, and that created this interesting tug of war between me wanting to do things my way and other people having their own ideas. There was a mishmash of different methods and ideas in the editing room. I stand by everything that’s in the movie, but I’m very curious what would have happened if I was just in a room by myself for three months. The Dissolve: Or if you had given it totally over to somebody else. Lowery: Or totally given it to someone else. I look forward to finding the person I can give a movie over to entirely. That would be an amazing experience, to hand over all the footage and come back and see a movie that is exactly what I wanted except way better than I imagined it would be. That would be a tremendous experience. In theory, I love that idea. Whenever you’re looking for a collaborator of any sort, you’re trying to find someone who speaks your language, but who can do it a little better than you can. With my production designer on this film, my cinematographer, my composer, we all spoke the same language and had a psychic connection, and I can’t wait to find an editor who is that same kind of a kindred spirit and can interpret what it is I want and turn it into something better than I thought we could pull off together.